Horex won the survey against the Motus on Facebook. So it’s time to write a little more about this exotic brand and its origins. But I wouldn’t want to go into too many details about the “ancient” history – You can read more about the early models in the sources (linked at the end of this post). I’d rather focus the attention on the most recent years and the direction they took. As they obviously are looking for a pretty interesting niche on the market. And would like this post to be the appreciation of their modern philosophy and… engineers craft. As they’ve been exceptionally busy in the last decade. Long long time ago – Fritz Kleemann was using the GNOM engines, that were already being manufactured Columbus Motorenbau GmbH in Oberursel (Taunus) – a company took over in 1920 by his father’s successful business (Rex Konservenglas Gesellschaft (translating to “preservative jar manufacturing company”) in Bad Homburg. 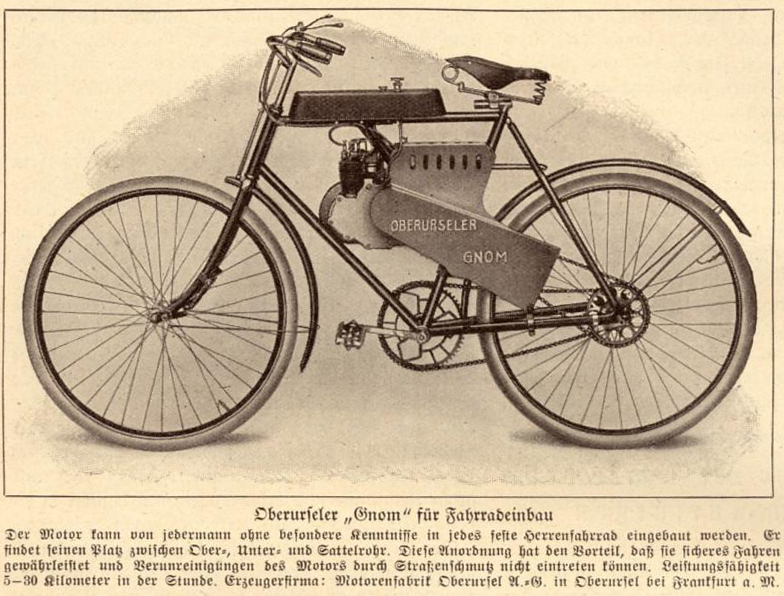 The 1 horsepower engines were mounted on purchased bicycles. 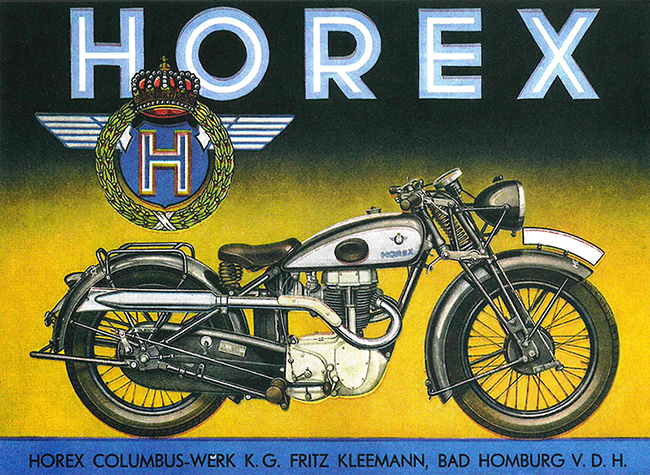 In 1923 Fritz Kleemann (1901-1975), founded Horex-Fahrzeugbau AG and was already using the distinctive company logo. He created the name by combining the name of his hometown, Bad Homburg, and “Rex”, the trade name of his parents’ jam jar factory. 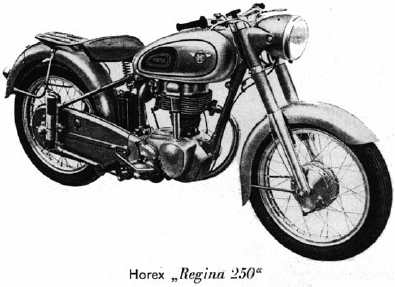 In 1925 due to financial problems Horex officially partnered with Columbus. 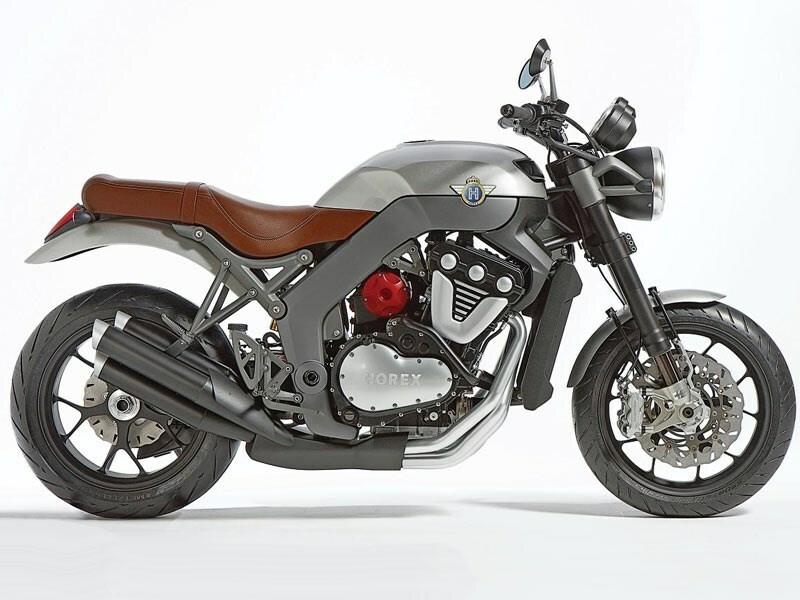 Hermann Reeb constructs several motors for HOREX over the years that are ahead of their time. In 1932, he builds a parallel two cylinder with triple mounted overhead camshaft that causes a sensation, especially in racing. Among other achievements, Karl Braun wins the German Sidecar Championship (1000cm³) with it in 1935. As a 600 cm³, “S6” and an 800 cm³ “S8”, only about 200 are built, of which very few still exist. The sporty models S35 and S/SS64 as well as the S5 and once again the S6 follows. 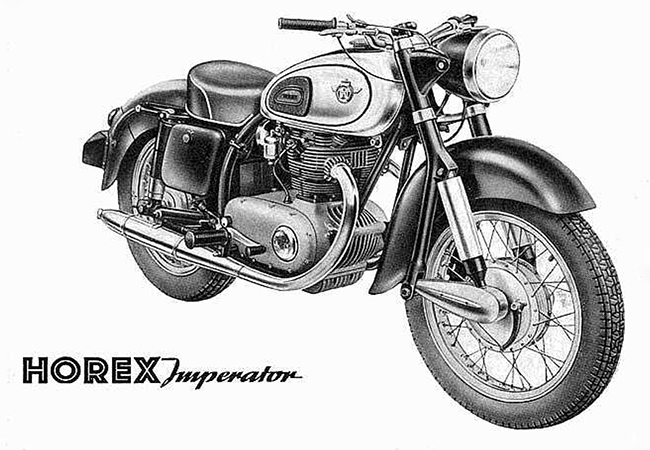 After few years of experiments and successes in motorcycles racing – the prototype of the “Imperator” is introduced at the 1952 IFMA. The mass production offers a 392 cm³ 26 HP version in 1954 followed by a 450 cm³ (30 HP) version. 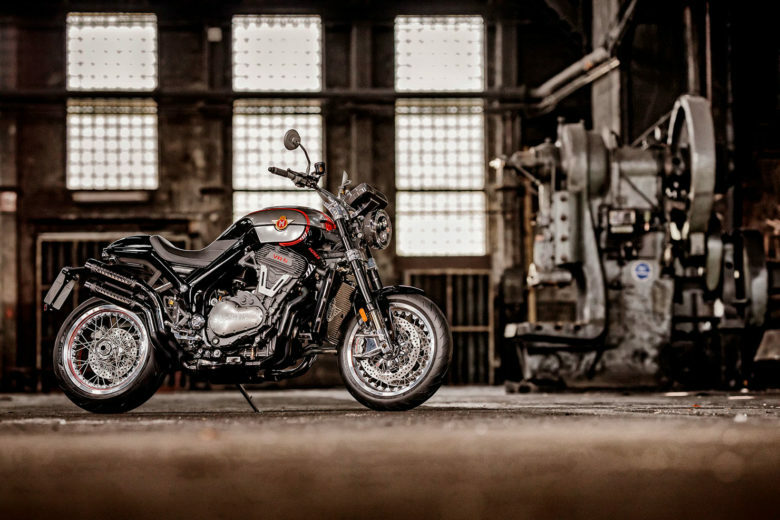 For the first time, the new two-cylinder model offers a full swingarm chassis for the series. Above all, however, the drive (whether chain or vertical shaft) in a shaft between the cylinders is patented for the overhead camshaft – a principle that is adopted by many manufacturers after HOREX later stops production. Sales start collapsing in 1954, even the “Imperator” and the “Resident” (the 1955 successor to the “Regina”) could not change that. The market is changing and the cars are taking over. 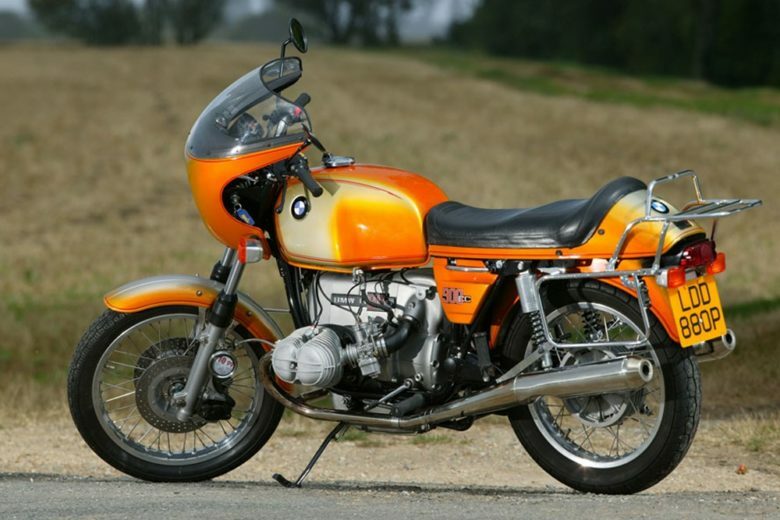 Insurance premiums for motorcycles over 200 cm³ increase drastically. In 1956, motorcycle production is abandoned and plans for small cars are no longer implemented. HOREX still produces children’s toys and metal shears, and also produces car parts for Daimler-Benz. The car manufacturer takes over the factory and continues to use it for some time to manufacture components before closing it in 1960. When Horex motorcycle production ended in 1956, Friedel Meunch, a gifted engineer and son of a HOREX dealer, purchased one of Horex’s factories to later produce the mighty Munch Mammut… but that’s a topic for another blog post as the Munch is also a very interesting piece of engineering and motorcycling history. And now the proper part. There is not much common between the 1920-1956 era and modern times besides the company’s mission to provide a top-notch build quality and innovation. But that’s it. There is no family ties, no naming consistency, the headquarters moved to Augsburg. 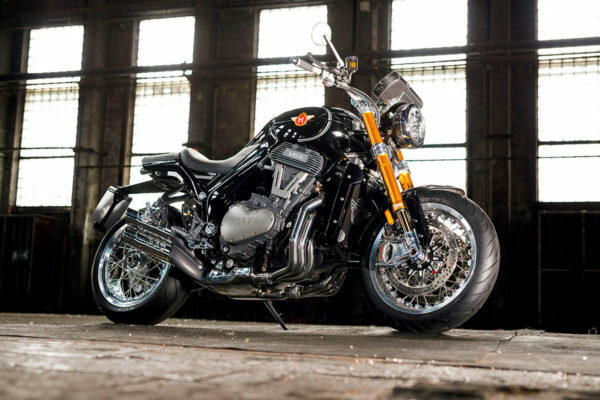 Horex seems to be only the nostalgic brand – reaching way back in the past. 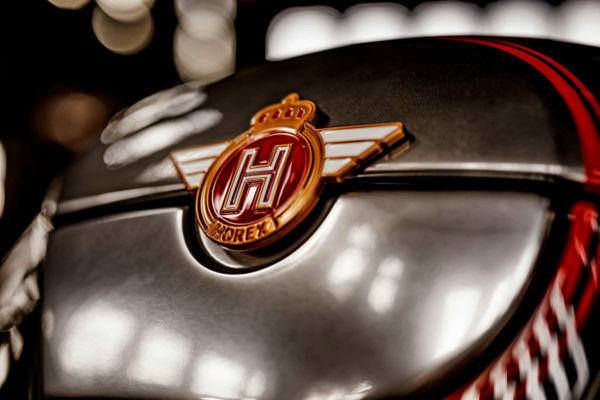 In 2009 the HOREX brand is bought by the mechanical engineer and IT specialist Clemens Neese along with partners. 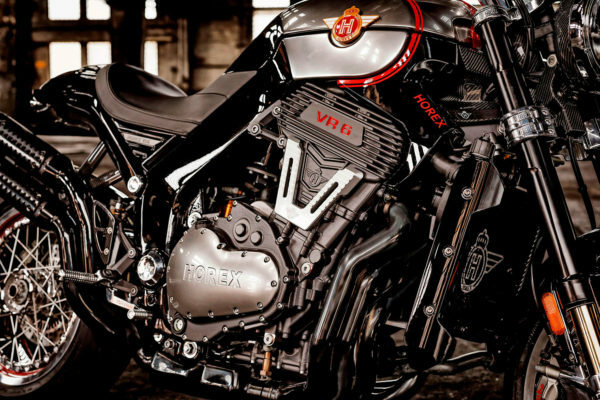 Neese goes public with a spectacular plan in 2010: He will construct an innovative HOREX-type engine, the first VR6 in a motorcycle. And that’s not all: it’s supercharged! No wonder that the prototypes draw a lot of attention, but the transition into serial production is, unfortunately, years behind schedule and rife with serious technical problems. 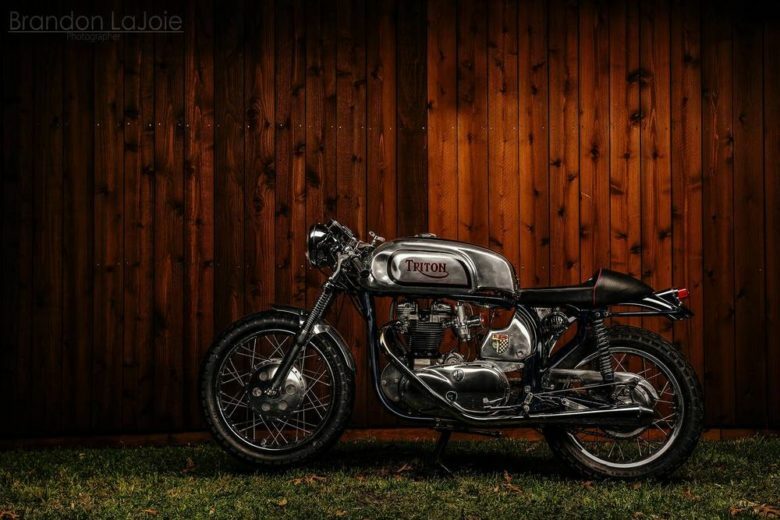 A variety of teething troubles are apparent in the motorcycles with the fascinating approach and the project also suffers from diverse logistical difficulties. Despite numerous efforts to stabilize the company with the help of additional bank loans, as well as millions from investors and in subsidies, it is all over in August 2014. HOREX GmbH in Augsburg under Neese’s management must apply for bankruptcy. And a year later: 3C-Carbon company examines difficult Horex situation and buys it. Once it is acquired, the speed of things really picks up: in a record-breaking six months, the “Silver Edition” is produced and then introduced at the 2015 IAA. The equally spectacular “Black Edition” follows a short time later. This is a quote from the manufacturer’s website timeline. Sounds a lot like bike propaganda. I strongly believe that it’s impossible to launch a motorcycle in half a year. I think that it should be read as that 3C picked up what was left after 5 years of design and testing and managed to finalize it in 6 months. I think that 3C is benefiting from a project that was left almost finished, and by some unfavorable circumstances was never released. 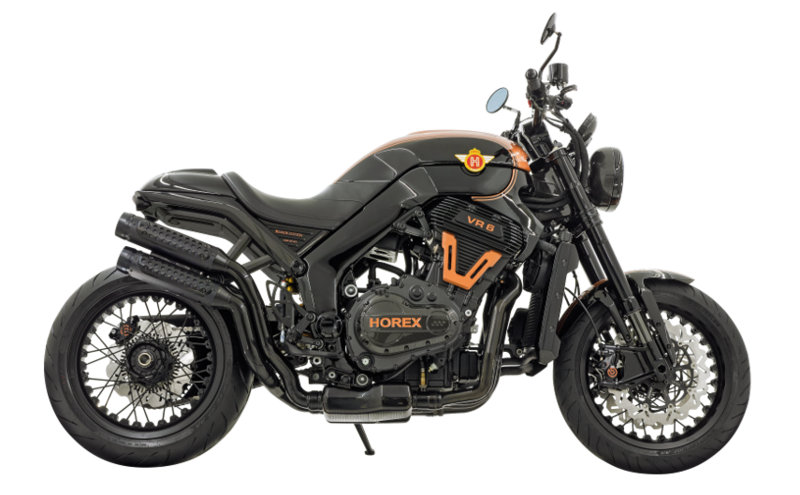 Nevertheless – Horex VR6 was finally released mid-year 2015. And comparing the prototype design vs actual production version – You can see a lot of changes aiming to lower the weight and use of carbon fiber materials. Here You can see an animation presenting the concept of a VR6. The idea is well known as VW has been practicing it for decades. This approach aims to reduce the size of the construction and makes this 6 cylinder engine only 43 centimeters wide (16.9 inches). The width of a typical 1 liter 4 cylinder engine. 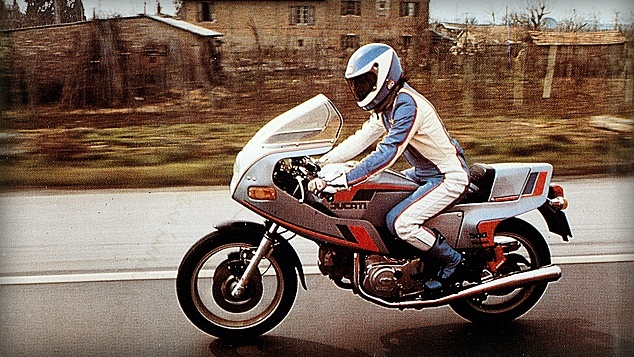 For example, the R6 known from the BMW 1600 cc is 12 centimeters wider (more than 25%). This construction requires than 3 camshafts that can reach the valves in “overlapping” cylinders. Every engine is signed by the builder to underline the manual production process and the quality focus. 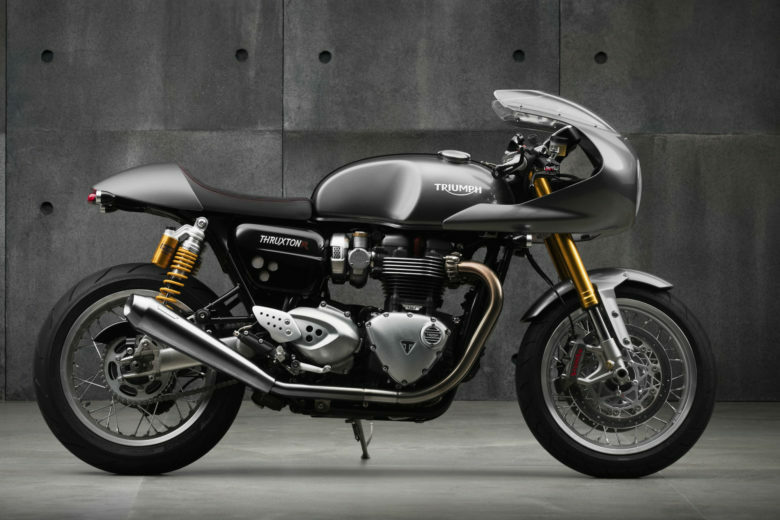 The bike weights ONLY 219 kg (Café Racer) or 224 kg (Classic) – which is an amazing result considering it’s size and number of cylinders. This definitely was a point of focus for the engineers and use of modern materials other than steel. 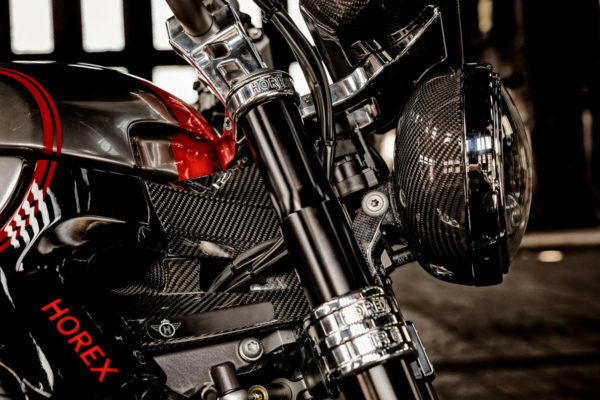 Carbon fiber is present in the frame (steering head! ), subframe and the fenders. The rest of features is also impressive. The spoked wheels are made of aluminum. The instruments are modern LCD display. Entire lighting is using LED technology. The throttle is ride-by-wire. I’m only surprised by the exhaust – which is kind of odd among these space era materials – regular stainless steel. Despite its limited modern history, resources and time on the market (3 years!) – it’s a very interesting and innovative brand. There is no other VR6 motorcycle in the world. I never had the chance to ride one. I only had a chance to examine one on some Motorcycle Show 2 years ago. And it makes a statement!